The iconic Hill Country of Central Texas is a place of raw beauty, serenity and solace, yet is under tremendous development pressure from nearby Austin. Few large tracts of land, like the Peaceful Springs Preserve, escape the bulldozer's blade. Protecting Peaceful Springs Preserve not only expands the Balcones Canyonlands National Wildlife Refuge's public holdings, but also protects vanishing habitat for endangered songbirds and migrating Monarch butterflies. Led by The Trust for Public Land, a sweeping fundraising campaign raised over half of the purchase price of the property, and engaged passionate conservationists and community advocates from near and far. And, in working closely with its public agency partners, the balance of the purchase price was met through the Land and Water Conservation Fund. 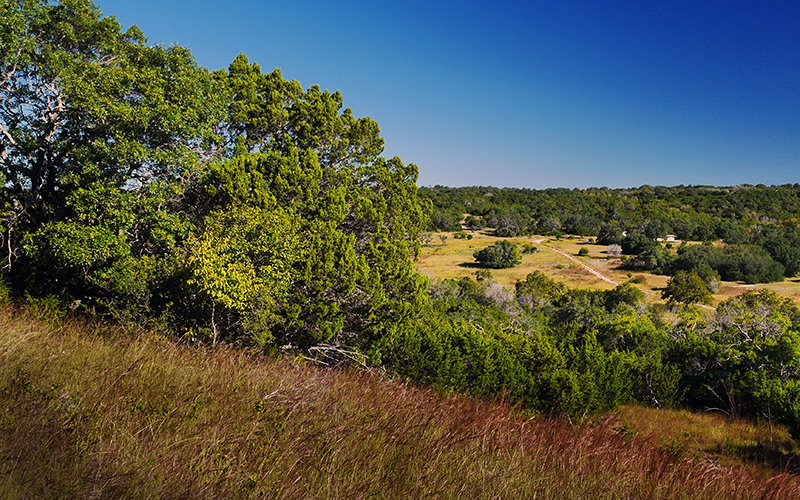 Today, the 520-acre Peaceful Springs Preserve links together almost 7,000 acres of extraordinary lands in the Balcones Canyonlands National Wildlife Refuge, and preserves the meaning and value of the Texas Hill Country for generations to come.